custom made by yours truly. This includes my contact, school map, master schedule, etc. this section includes monthly calendars with topics for each day. I LOVE having my year completely planned out before the kiddos ever arrive. Of course some tweaking will take place along the way, but this helps ensure that I will get to all the glorious info my students need to learn. It also makes weekly lesson planning much easier. ...and the standards that are included in each section for quick reference. this section is currently empty since it's summer. I'll do a post and show you my personal lesson planning template some other time. this is my go-to section for my Kagan grouping info. This page is how I group students by level before I create cooperative teams. Their names and assessment scores go in the first two columns, I then decide which category they fall into for our current content (high, high medium, low medium, low). This second page is how I keep track of my groupings throughout the year. Next to the #1-7 I write down the team names that my students come up with. This is an entire activity that helps promote unity, team pride, and interdependence within teams. I then list out which H, HM, LM, and L students are in each team. I generally rotate groups every 6 weeks, or three times per semester. I use one page per class period per semester. It helps me make sure students are not in the exact same groupings. I also record notes about which students should or should not be grouped together in the future. 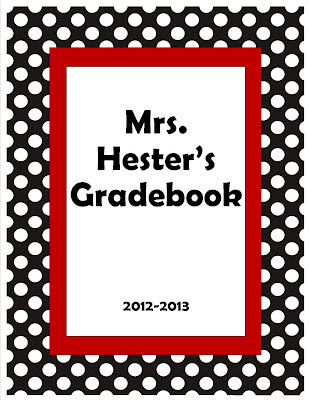 This gradebook is often stuck inside my notebook and carried around that way, but I love having it separate. My parent contacts also get their very own binder. Maybe I'll do a post about that some other time. Do you have a teacher binder? What are you favorite parts? Great post! Thanks so much for linking up at the 5-Star Blogger Challenge! I of course have several other binders too! I am your newest follower and I would love for you to come visit me when you get the chance. I too am spending some summer hours "tweaking." I appreciate this post on organization and I intend to follow your lead. Thanks for sharing. I have recently started using a teacher's notebook. I am also tweaking it this summer. I also teach algebra. I will be incorporating Common Core standards and would love to learn more about what you are doing with them. Love those tabs too. How to???? Do you have an electronic version on your Kagan grouping sheets? (The one page with everyone's name and level and the one that tracks groups) Those are fantastic and I would love to utilize those this year. I start my first teaching job in January and this is SO helpful. These are the types of things I would not have thought of until the last minute! So helpful! Thank you!